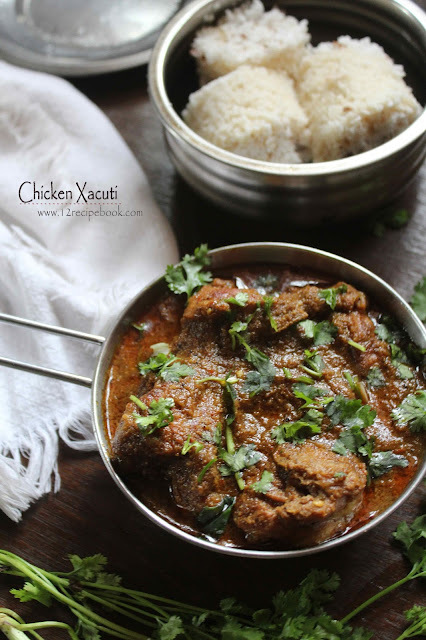 Chicken Xacuti is a Popular Goan chicken curry. Chicken is cooked along with spices, coconut and tamarind gravy. 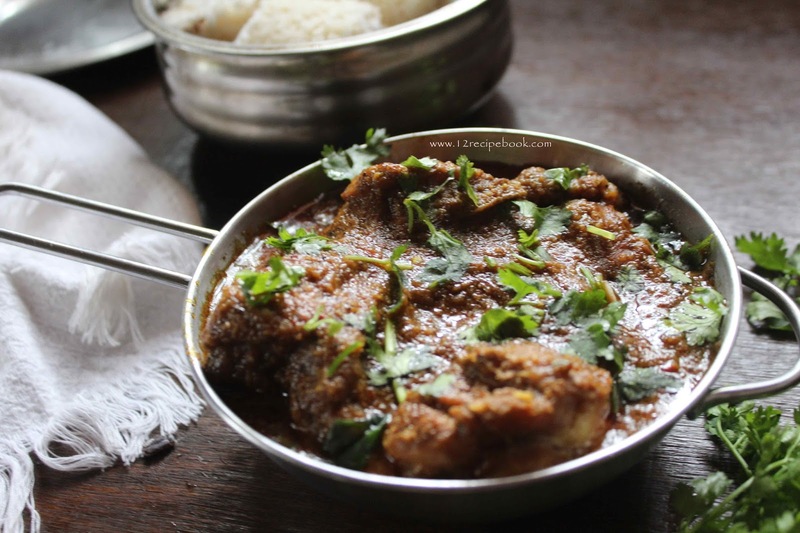 Try this flavorful curry at once and make your dine delightful. Marinate the cleaned chicken pieces with turmeric powder, one onion chopped thinly, crushed ginger garlic, green chilly slit, salt and half of the coriander leaves chopped. Heat a tablespoon of oil in a pan; saute one onion sliced until soften. Add grated coconut and roast for another few minutes until coconut turns crisp and golden. Add in to a grinder; keep aside. In the same pan; dry roast cinnamon, cardamom, nutmeg, cove, coriander seeds and dry red chilly for a minute. Mix it with the roasted coconut and add little water to make a smooth paste. Blend until smooth and keep aside. Heat a pan with 1 tbsp of ghee. Add the marinated chicken pieces along with its marination. After that add the blended coconut paste and mix well. Soak tamarind in 1/4 cup of hot water and take its pulp water. Add it in to the curry and cover cooks for another 10-15 minutes or until oil floats on top of the curry and chicken pieces gets nicely cooked. 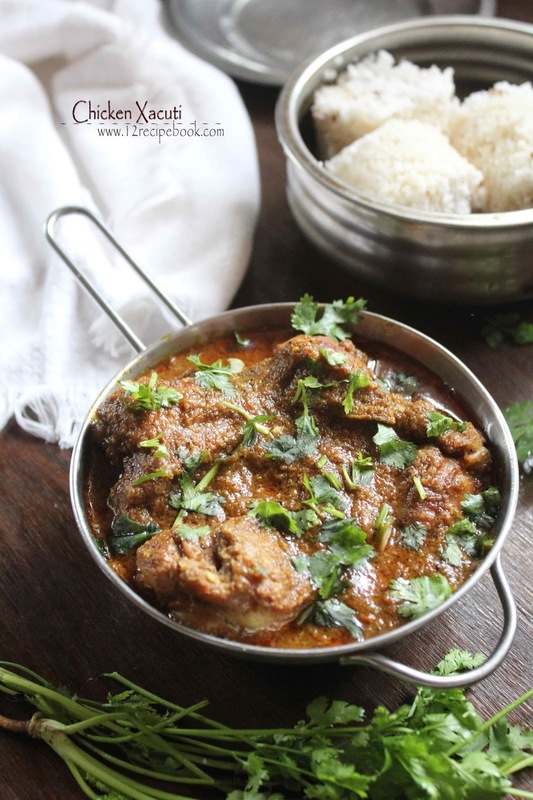 (After adding tamarind water; you can pressure cook the curry for one or two whistles; because we needed to cook the chicken nice and tender). Check for salt and add the remaining corianader leaves on top. Switch off the flame and serve hot!!! !